The MacBook is nothing more than what it claims to be. There are no adornments, no complications. There is only clarity and focus, each piece of the puzzle offering up its best self within the confines of the concept. Before we begin, ask yourself one question. Are you a person who can get your work done with one USB port? You know the answer. If you can’t, then there is likely a better choice for your next computer than the Retina MacBook. Nothing I can say will ease your irritation. 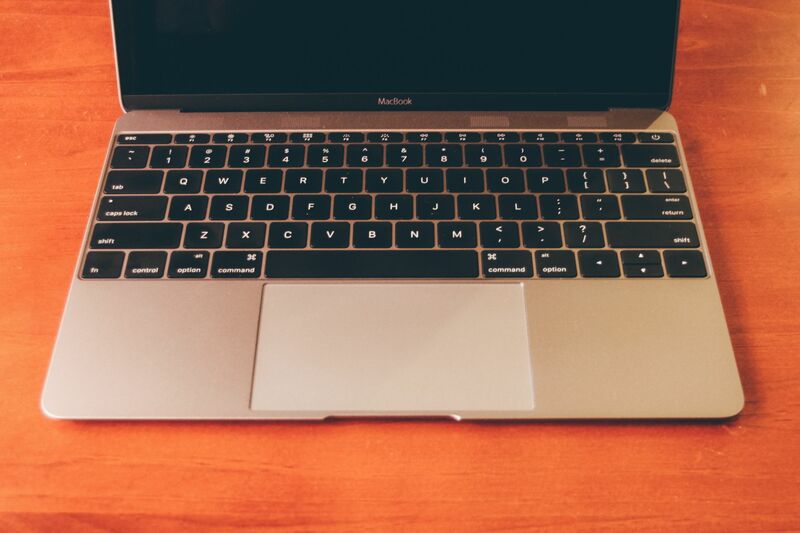 The space grey 12″ MacBook. Much of what I will say could errantly convince you because I have something great to tell you. Just remember, before you proceed, that you already told yourself whether or not you need more than one USB. How peaceful a life do you aim to live? How simple? Many of us target such goals but fall short of achieving them. I know I try. I populate my digital world with beautiful typography, generous whitespace, and apps whose designs emphasize delight. I consider the thousand paper cuts of friction I encounter daily, and remove what I am able, always prepared to eliminate another. Yet I replace phones and tablets and watches—often when they’re only a year old—devising upgrade systems to justify their annual purchase and usually feeling positive about all the simplicity I’ve added to my life. But simplicity isn’t about addition; it’s about subtraction. And the Retina MacBook is about nothing more so than subtractions. 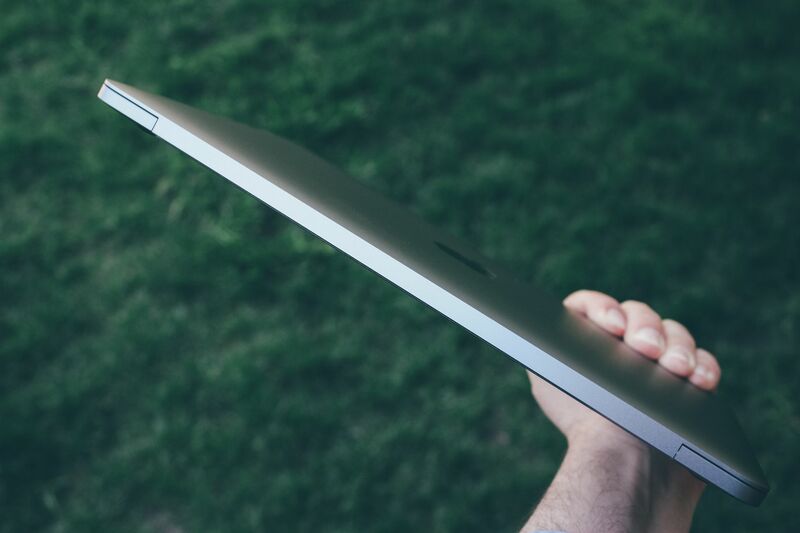 The new MacBook is the thinnest and lightest notebook ever released by Apple. 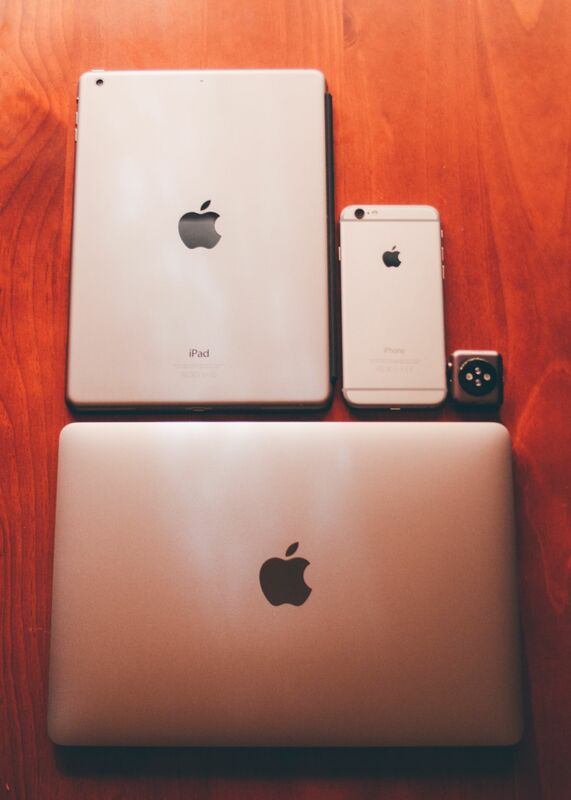 The MacBook, in relation to the iPad Air, iPhone 6, and Apple Watch. Like the iPad and iPhone, the MacBook has been created to be used there rather than here. On first impression, the MacBook states its design goals clearly to the user. This computer is thin and light. 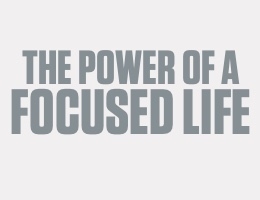 It aims to do more with less. Weighing a half-pound less than even the smallest MacBook Air, there is literally less machine, less matter, less physical object. It is thin enough to make even the “fits in an office envelope” trick of the original Air seem mundane and unimpressive. 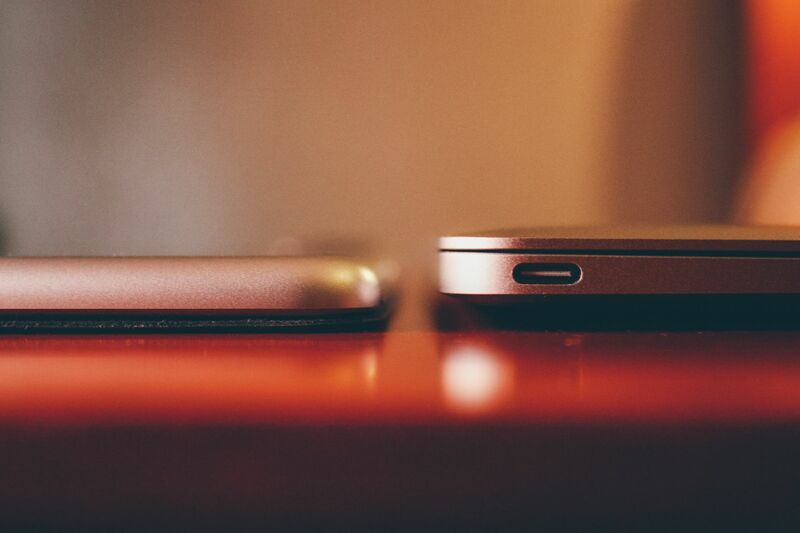 At its thickest point, the MacBook is only a hair thicker than the first generation iPad Air. 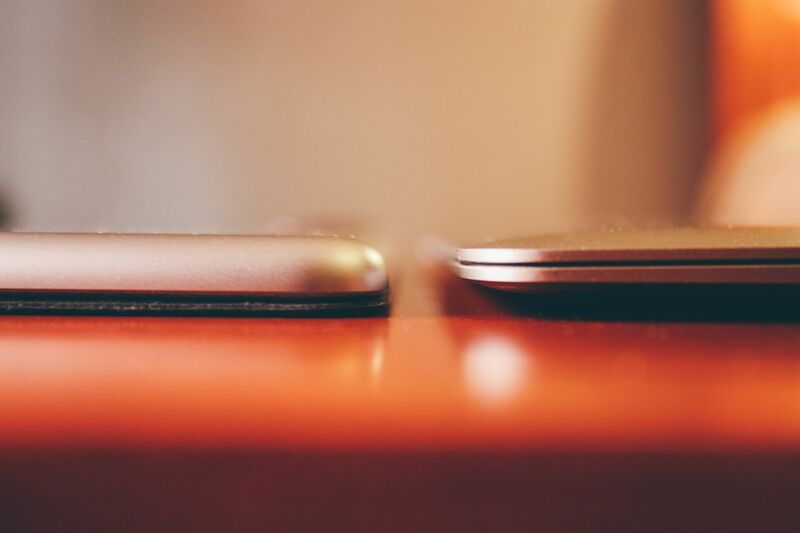 At its thinnest point, the new MacBook is as thin as the first generation iPad Air. Indeed, if the Air moniker was meant to convey lightness and thinness, the new MacBook’s name communicates its purpose equally well. Take the air out of the Air, shrink it down even further, and see what you get. It is a computer for there rather than here in that if you are always here, then Apple’s lineup likely contains a better machine for you: one that emphasizes power, or screen real estate, or a multitude of ports, or price. But the MacBook is not for here — it is meant to be taken with you: to the bus stations, the parks, the coffee shops, the next-door offices, the weekend cabins and hotel rooms. When you go there, it is meant to go with you, and to hardly be noticed when you do. 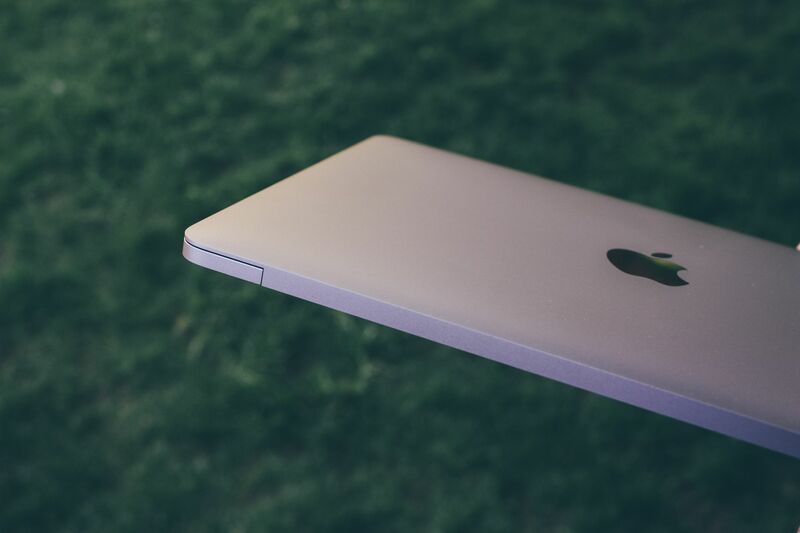 Apple has left out the plastic hinge and instead replaced it with an all aluminum option. 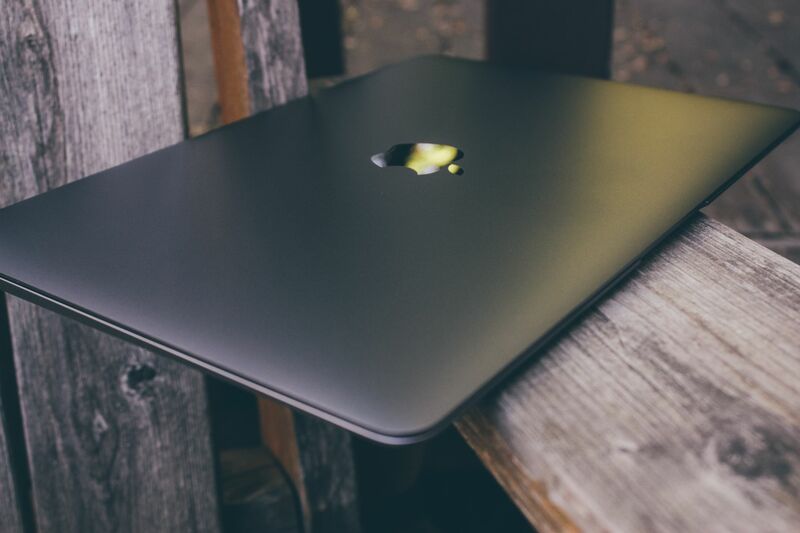 The new design fits the overall feel of the new MacBook without making any drastic changes. Despite its need to reduce itself at every turn, the new MacBook doesn’t leave everything from its predecessors behind. 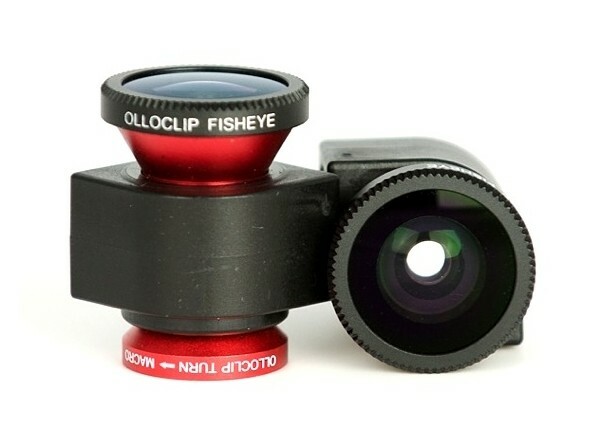 There is power, and capability, nestled within its tiny frame. This is no netbook, though many might try to argue such a point. It has none of the cheap-as-we-can-build-it, cram-a-keyboard-in-there slop that characterizes the netbook. From its all-aluminum unibody (yes, even the plastic at the hinge is gone) to its category leading energy efficient display, the Macbook is a complete computer that can do anything that any other Mac can do. Specialists will disagree, as they will, and like any computing device in history, the MacBook has its strengths and its weaknesses. But to call it “slow” or “underpowered” or again, “netbook class”, misses the essence of a versatile, intentional product. As with any design predicated upon subtraction, there are bottlenecks and limitations that cannot be ignored. Performance is one of these. Though the MacBook meets the demands of OS X and its accompanying applications, it seems (in the stock 1.1GHz configuration upon which this review is based) to only just do so. If the bar is perfectly fluid transitions and animations, then the MacBook falls ever so slightly short. Swapping Spaces is sometimes accompanied by animation hitching; adding widgets to the today view is choppy; and the effects of websites that use “scroll-jacking” techniques (which impede performance on all devices) are more noticeable. This is not a high performance computer. Nor does it aim to be. It is instead a computer with all unnecessary performance subtracted. The single USB-C port is the most polarizing aspect of the new MacBook and will likely define the purchase decision for many potential buyers. 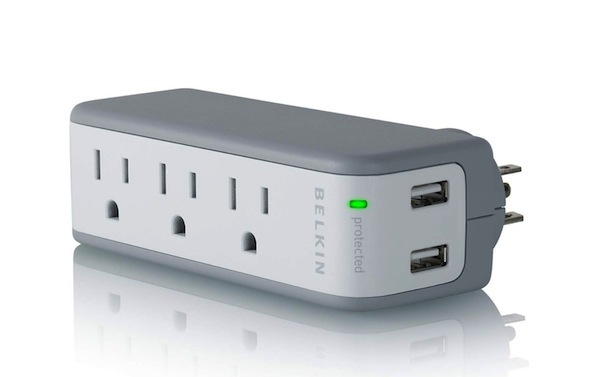 The port handles all power, USB, and video I/O for the MacBook. If necessary, Apple sells adapters to more fully take advantage of this single port. A review that overlooks the MacBook’s single data (and charging) port would be remiss. 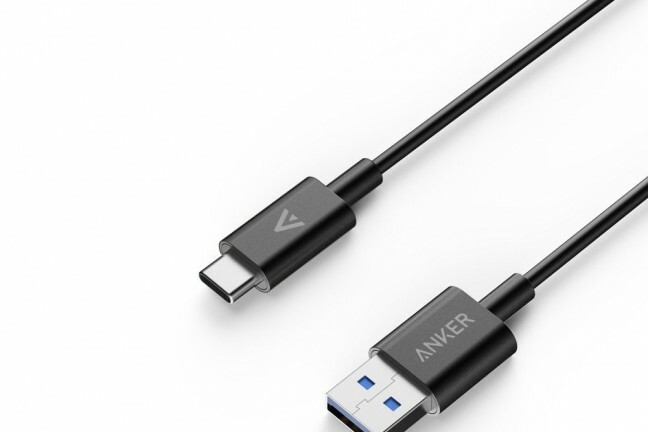 Probably more than any other feature, Apple’s choice of a single USB-C connection has generated significant controversy. However, within the constraints of a laptop meant to be ultimately portable, the decision is certainly not inexplicable. A white adapter dangling like some vestigial ganglia from the side of the device runs counter to its raison d’être. Despite this, the single USB-C solution is arguably the most versatile port Apple could have provided as its one and only solution. If necessary, it will carry power, USB, and video. Another limitation lies in the design of the MacBook’s keyboard. Though its overall feel is premium and high-quality, from the tones of keyclicks to the steadiness and target size of the individual keycaps, the depth of travel will leave some typists uncomfortable. The keys require more force to depress than their chiclet predecessors, which in practice simply makes each keystroke more deliberate. 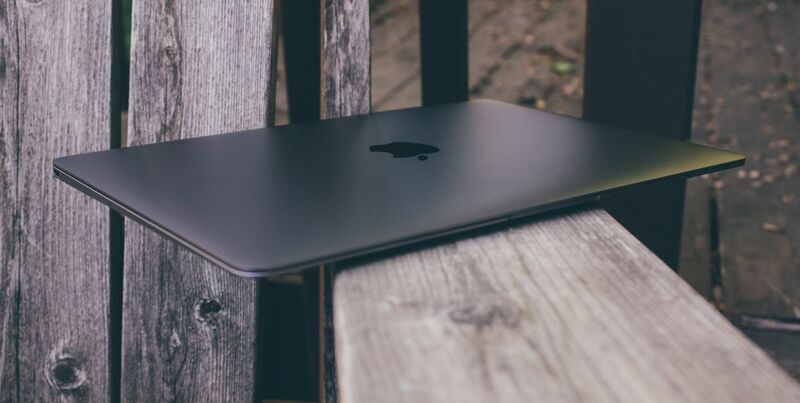 But more than anything, the sensation communicates a sturdy and well-crafted feel that reinforces the MacBook’s attitude of precise construction, especially when used in direct comparison to the often soft, flimsy, or brittle feel of other notebook keyboards. To shave away more of the MacBook’s thickness, Apple redesigned its keyboard. Each keystroke travels less than ever before and may make some typists uncomfortable. Further, Apple increased the size of each key and improved the keyboard’s backlighting. One detail does escape the tenets of the MacBook’s philosophy, however. Though Apple touts the even backlighting achieved by placing an LED behind each key, the resulting evenness is only fully realized on square keys, with longer rectangles like delete, return, and escape looking a bit dim at the corners. If there’s a piece of the MacBook that doesn’t compromise, that shines, that delights without caveats, it is the Force Touch Trackpad. Apple’s trackpads have for years been the best in the industry by a wide margin. The Force Touch Trackpad, with its vibrating electromagnet simulates a click and almost instantly broke my years-long habit of tap to click. The pressure required to register a click (on the default pressure setting) is such that it rests somewhere between tap and click on older hardware. The mind trick is convincing enough that upon first impression, users dispute that it doesn’t click. Some will guess that it moves a smaller distance than the old trackpads, when in truth (testable by turning the machine off) it doesn’t move at all. Apple’s Force Touch Trackpad is something from the future. Instead of physically depressing, electromagnets vibrate to create a clicking feedback when pressed. Apple’s mind trick has left many thinking the trackpad actually depresses, until they shut down the machine and find the trackpad is, indeed, entirely stationary. The “force” in the name comes in handy in daily usage as a readily understandable gesture. Want a definition? Press down harder than usual until you feel a second click (which really does feel like you’ve moved the trackpad further “down” when it is actually still stationary). Want to fast-forward at a higher rate? Press the button harder to adjust the speed. It is a nice feature addition, but the true magic is in the click. It simplifies, purifies an action that users take hundreds (maybe thousands) of times each day, reducing friction and accommodating other design principles such as thinness and structural integrity. Then there’s the battery. Apple estimates nine hours of light use. But the implied use cases for the new MacBook couldn’t be more opposed to the traditional measurements of battery capacity. In a device that takes several cues from its iOS brethren, the race from sleep to wake and back again is more important than ever before in a Mac. My usage pattern generally consists of waking the machine, doing some work (possibly for in short bursts of 5–10 minutes, usually in the 25 minute range, and sometimes for long continuous periods) then walking away to do something else, and finally coming back to the computer for another medium-length session. 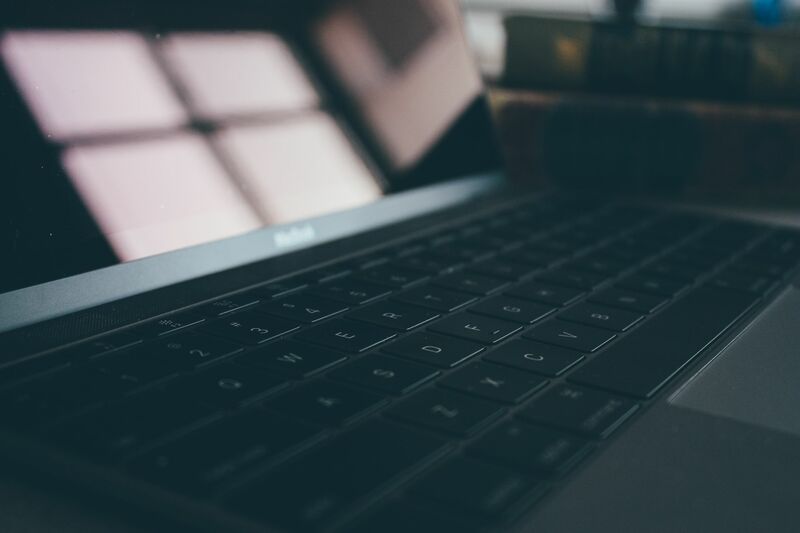 If that work consists of reading or writing, the MacBook’s processor quickly reduces its energy footprint to only the bare minimum, saving energy and extending active use time. With several Safari tabs of varying complexities, Ulysses, OmniOutliner, Numbers, and Fantastical 2 in fullscreen mode all open, the MacBook far exceeded my expectations. On multiple occasions, I have been able to get two working days on a single charge, more than making good on Apple’s all-day battery life claim. In short, I do not worry about the computer dying before my work day is done. Imagine a library. When you enter, the rules are obvious: keep quiet. If you must make a sound, make it as softly as possible. Be unassuming, like the librarians working noiselessly through the stacks, placing and arranging book after book. At the library, getting your work done matters, though it’s always away from home base, always on the road, and with as little additional distraction as possible. One’s forays into the book-lined halls usually have a time limit as well. The doors are open, and then they are closed. But if you stay all the while, you’ll have completed more than a day’s work. In so many ways, the MacBook fits a similar pattern. Everything it does, it does quietly—barely making itself known. And it adheres to its own rules unfailingly. It is small and light in a bag. It is thin on a desk with hardly more footprint than an iPad. When the trackpad clicks, it’s audible, but only just. And the new butterfly-mechanism keys make only muted pops as opposed to their clattery counterparts in the MacBooks Air and Pro. At the heart of the quiet is the fanless internal design. There are few products that embrace understatement to the degree that the MacBook does. It is ready when you need it, does its task quietly — almost invisibly — and then slips easily into a bag or away from you on the desk, leaving plenty of room for any other work that might need attention. 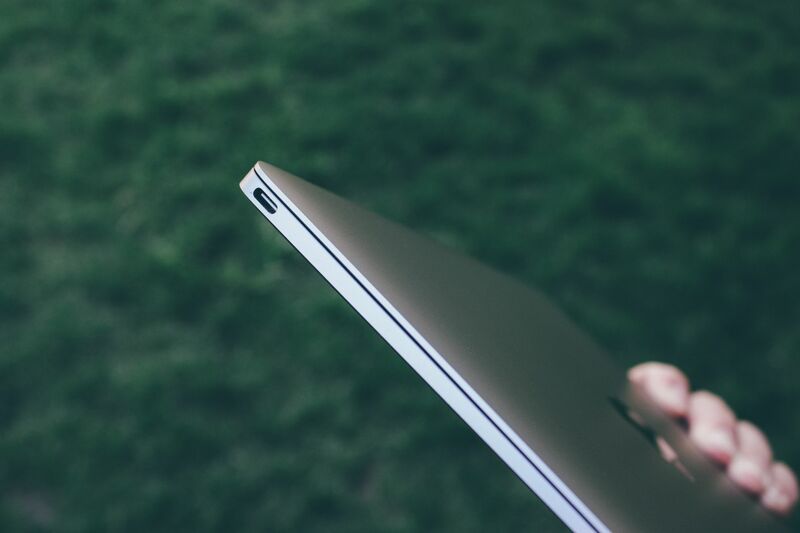 The new MacBook is Apple’s simplest, most minimal notebook yet. So, do you emphasize simplicity? 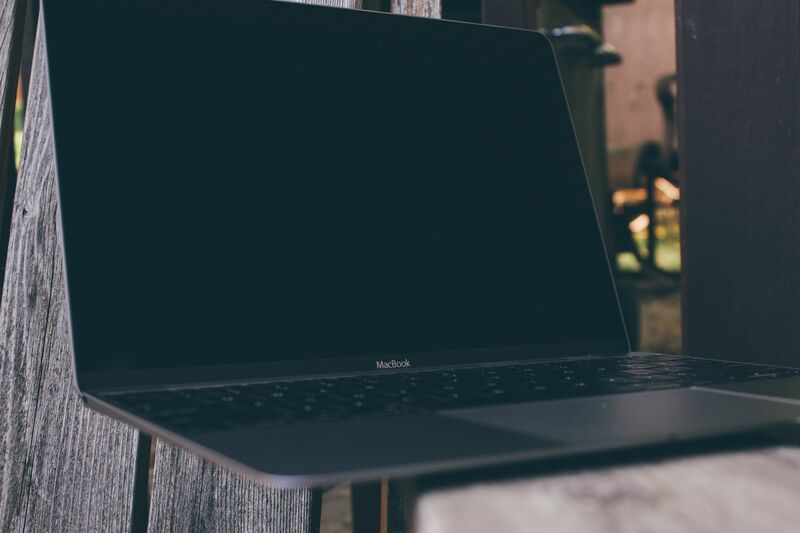 For those who do, the Retina MacBook, Apple’s most minimal Mac to date, offers a design that amplifies the essential, selects its priorities carefully, and unabashedly pursues them. It is nothing more than what it claims to be. There are no adornments, no complications. There is only clarity and focus, each piece of the puzzle offering up its best self within the confines of the concept. It is neither Pro nor Air, and it needs no i. It is, simply, MacBook.